Foundations makes a Trio Triple Tandem Stroller, in both a Sport and LX3 model, that allows everyone to sit in tandem, facing the parent with great coverage from the sun. The two models very similar in terms of features, with the LX3 model being somewhat longer while the Sport is a little shorter but wider. 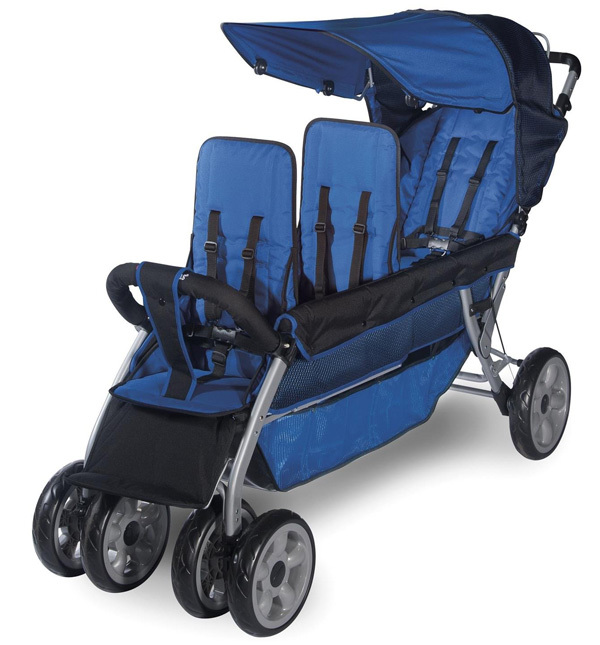 Strollers range from 63 to 57 lbs. Please note, this stroller will not work for infants! Foundations focuses its strollers on safety and includes features such as an adjustable five-point harness and shock-absorbing, lockable wheels. 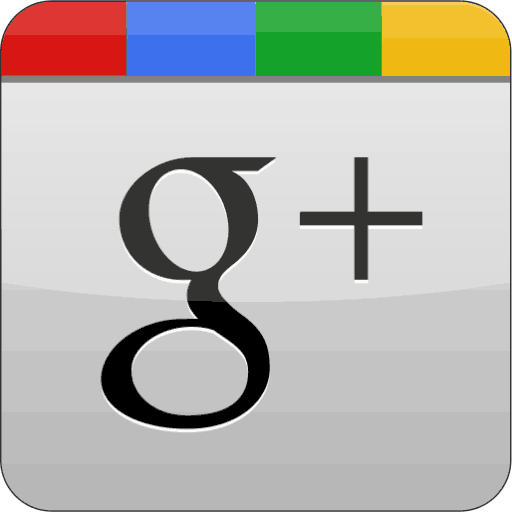 Unfortunately, it seems to suffer from security and safety issues, according to most reviews in 2014. 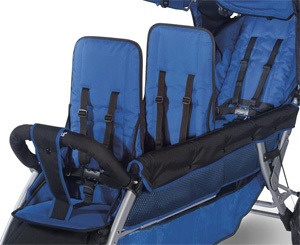 Foundations’ set of triple, tandem strollers offer a heavy but safe ride for many users. However, Foundations is suffering from some recent credibility loss as customers are saying it is having issues with the breaking system – this is mostly true for the Sport model. 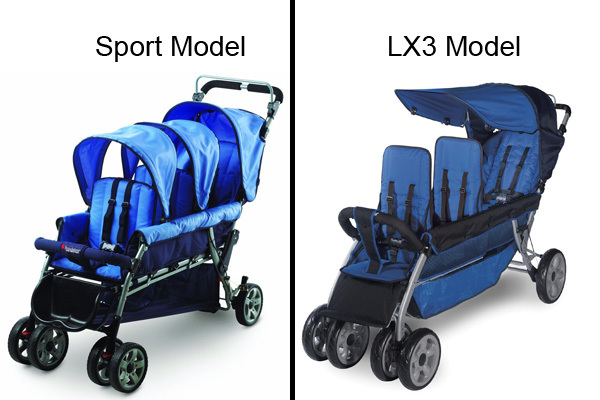 Despite the “Sport” name, these strollers are made for light, indoor use and not for jogging or other significant outdoor walking. The stroller folds down very easily and there aren’t any corners or crevices that consumers say is out of reach. Foundations doesn’t provide a list of any car seats that it supports and no customer says that they use it with a car seat, so it is unlikely that these strollers have support for yours. 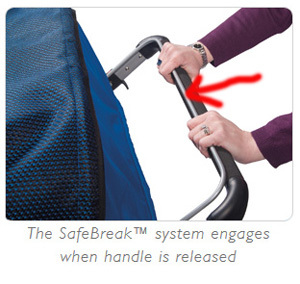 The stroller includes a SafeBrake system that allows you to quickly stop if a stroller gets away or if you need to stop quickly. Seats don’t fully recline, so even if you have just 1 infant, you’ll need to look elsewhere. 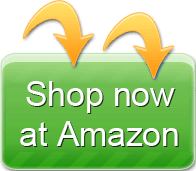 Some Amazon sellers and the company itself say it is good for infants, but this is not true. The major downside seems to be concerns with the wheels. 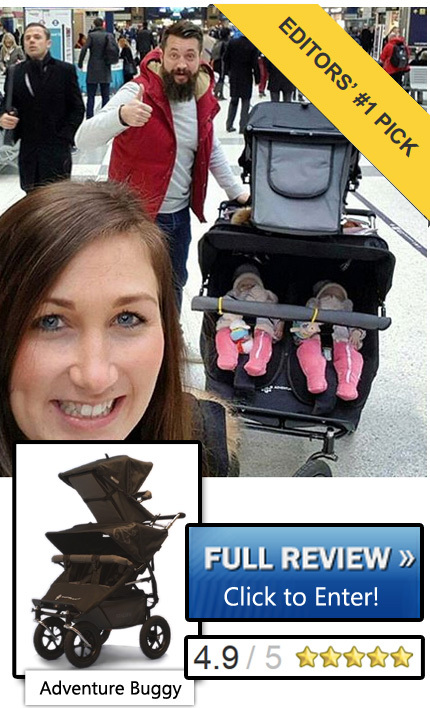 They appear to have issues if ever hit from the side or if the stroller gets loaded unevenly – they can compress relatively easily according to most reviews. The shocks have also broken apart for multiple users. Some users report significant problems with the brakes. Brakes have both failed to engage and have engaged on their own. The brake itself is somewhat difficult to engage or disengage. 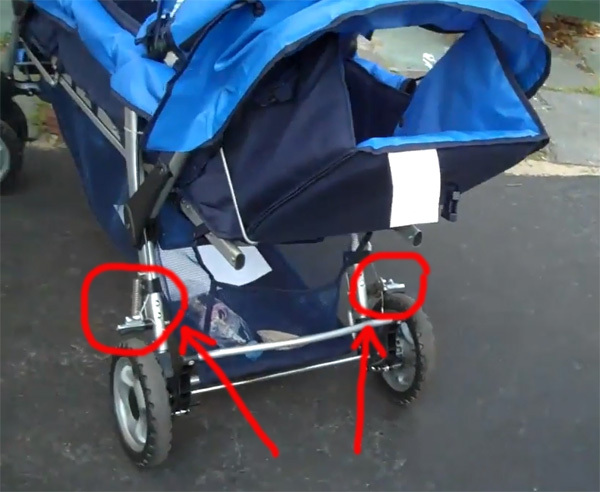 In one instance, a brake issue caused someone to hit a curb hard and break part of the front casing on the stroller. According to this reviewer, Foundations said that the casing wasn’t covered under the warranty and would not provide a replacement. The big thing about this stroller is its price. 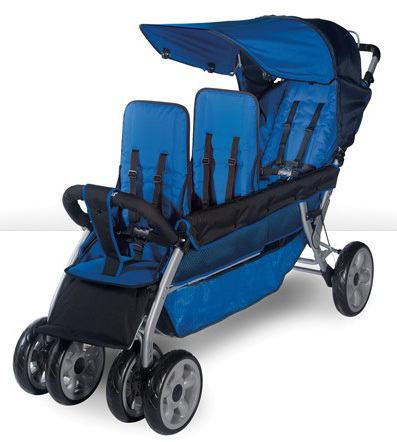 You’re looking at the $300 to $400 range which can give it some benefits above other strollers. Since it’s made for three it is a heavy stroller. There are few accessories made by Foundations itself. Most users have purchased their own storage option for wallets, cups and other things. There’s a mixed amount of reviews about which trays work with the stroller; there is no official support and it’s unlikely that any other than the front-most, outward-facing seat will support third-party trays. Consumers also purchased a variety of rain guards, extra sun protection and bags for their strollers. However, most (if not all) of these are from companies other than Foundations. These strollers will give you a great workout! The safety focus on Foundation strollers is a nice feature and you’ll enjoy its use if you don’t mind the brake assistance. 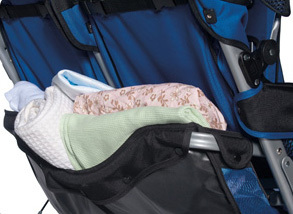 This kicks in when the stroller accelerates quickly downhill or can be engaged when you need to make a quick stop. 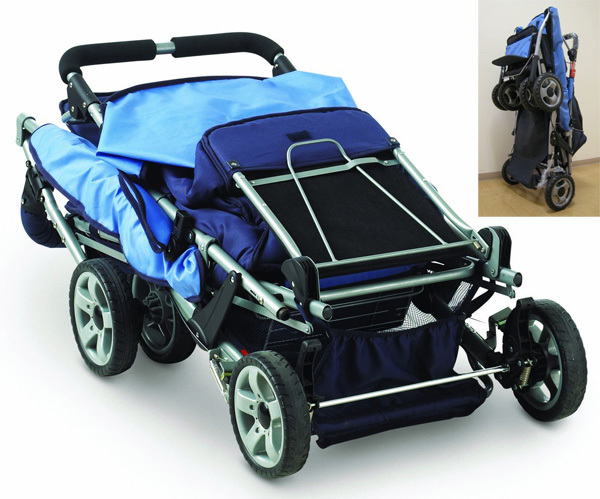 Many reviews are positive, so the price of the strollers is very compelling. However, with everyone strapped in the stroller can get pretty heavy. You’ll need to be able to handle the weight. This includes significant control to avoid hitting the wheels on nearby objects. 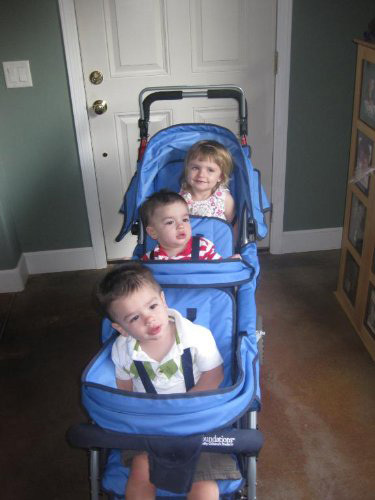 If your kids have left the infant stage, then it could be a great stroller for your need. Kids may outgrow it in a year or so, but you’ll have a good investment for the small price. For many users. 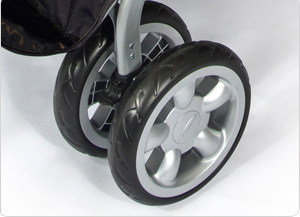 Most report that they need to push down on the stroller to keep the brakes from rubbing on the tires. Brakes also tend to engage on their own or work incorrectly, so there is some risk there. This is not a jogging stroller, but it does perform well for walking around the neighborhood or mall. It is fully collapsible and can then fit well in many cars. Does not support car seats. Children may outgrow it after a year or so. 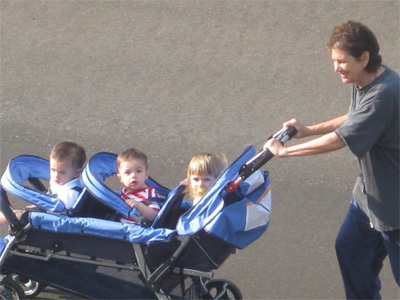 Children can reach, and poke, each other in the stroller. Shows wear and tear after around 9 months. Wheels can become compressed if damaged, which can be easy if hit from the side. Bags are hard to access. Heavy or portable to some. Rear seat does not recline at all. Advertising can be misleading about which children can use this stroller. 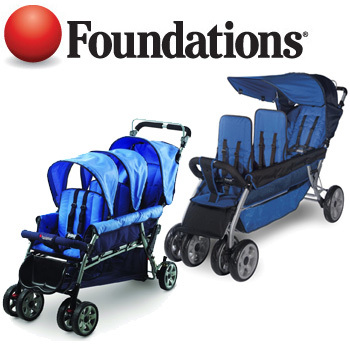 It’s hard to recommend these strollers from Foundations. There are many complaints across the websites of all of its sales partners about the quality and craftsmanship of the strollers. With the wheels and brakes falling apart, it seems dangerous. However, users have also noted that lots of side parts seem to arrive damaged, multiple consumers have reported that straps were cut and that the basket isn’t useful. Add in the lack of parent trays, cup holders and other items, this stroller won’t be suitable for most. However, the price is good and about half of reviewers online rank it decently.